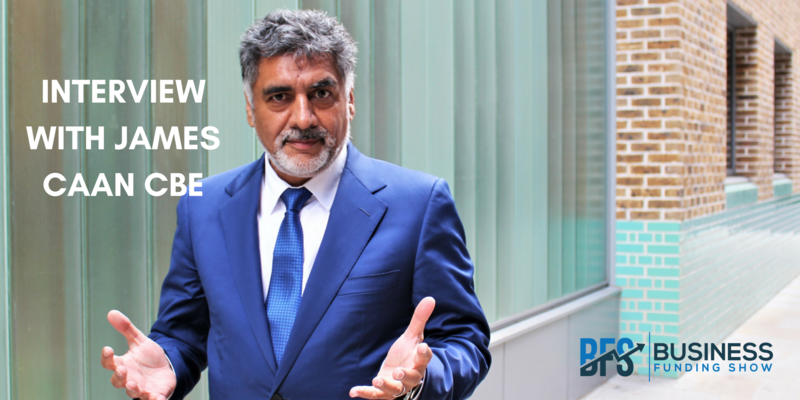 We were very lucky to speak to James Caan, a CBE and one of the UK’s most outstanding and successful entrepreneurs. Considering his rich and vivid business history, there is a plethora of things you can say about James: investor, philanthropist, former dragon, government advisor, Harvard Business School graduate, CEO of Hamilton Bradshaw, and founder of the James Caan Foundation. You have always stressed the importance of failure in your entrepreneurial journey. Can you elaborate a little on that? The advice that I would give entrepreneurs today is to recognise that we’re in an incredibly competitive business market. The modern landscape is extremely challenging; it changes so quickly, and you have to appreciate that failure is part of the journey to success. My advice is to embrace failure, because the one thing that you can guarantee in business is that if something can go wrong, at one point or another it will go wrong. All too often entrepreneurs hit the first hurdle and give up. When you have an idea, rather than simply asking people what they think about it, try asking why they think it might fail – then you might learn something. I am happy to admit that I’ve had many failures throughout my career and invested in a number of businesses that sadly didn’t prove to be successful. With the absence of alternative business funding, how much persistence and determination did it take to fund your first business, and how much easier is it for entrepreneurs today? When I started my first business more than 35 years ago, crowdfunding, angel networks and a thriving venture capital community sadly didn’t exist. Banks were incredibly reluctant to back start-ups and unfortunately there wasn’t a Start Up Loans equivalent available at the time. I simply took out three credit cards and used my credit facilities on the back of those cards at extortionate rates of interest to start my business. It’s certainly something I wouldn’t advise people to do today but it’s amazing how creative you can be when your options are so limited. For entrepreneurs today, there are many different types of funding you can secure to grow your business, depending on how much investment you need. Whatever you choose, be sure to research thoroughly and target firms that are specific to your sector. If you’ve got a technology-based investment, for example, target firms with a team of specialists in that space. What can you say in regard to challenges for growth and securing funding for a service business as opposed to a product business? Funding for service sector businesses is extremely challenging as generally there are no assets for a bank to take security against. Your most valuable assets are people who walk out of the door every night! From experience I have found that it is normally high net worth individuals who are prepared to invest in this area. How important is philanthropy for you? In 2010 you provided relief to Pakistani communities after the worst flooding in the country’s history. Following this example, do you think more entrepreneurs should explore the concept of ‘giving back’ to their communities? Why is this important? I recently said ‘I’m in’ during a visit to Penny Appeal in Wakefield, a charity set up in 2009 to provide support and relief across Africa, Asia and the Middle East. Penny Appeal transforms lives and empowers communities, helping to break the poverty cycle and build brighter futures. I believe that as an entrepreneur, supporting such a cause is the most important and valuable thing I can do. Supporting projects that have a social impact is something that really gets me excited. You seemed to have caught the entrepreneurial spirit early on in your childhood. Do you think there is an untapped entrepreneurial potential in every person, or does it heavily depend on your upbringing and early experiences? I think at some point in life everybody says ‘I’d love to start my own business’, but they need that push in the right direction, they need that reason. My father was my mentor and the reason I became an entrepreneur. He worked incredibly hard and I remember telling myself I wanted to be just as passionate. What is the key to sustainable growth for companies? At the start of 2017, small businesses accounted for 99.3% of all private sector businesses in the UK. Why do the majority of companies not make it past the SME stage? What is your advice for them? I have always been a firm believer that it’s the people behind a business that make it a success. That with the right attitude and motivation, there is very little you cannot achieve. Sustainable growth is one of the biggest challenges companies face in today’s economy. SME’s must possess a consistent sense of purpose and vision, engage with all shareholders, hold a USP and continually but realistically innovate. A lack of support and advice is one of the most fundamental reasons for business failures. Whichever sector you operate in, there will always be plenty of specialists for you to target. People with the tools that you may lack as a startup could be the springboard to success that you need. 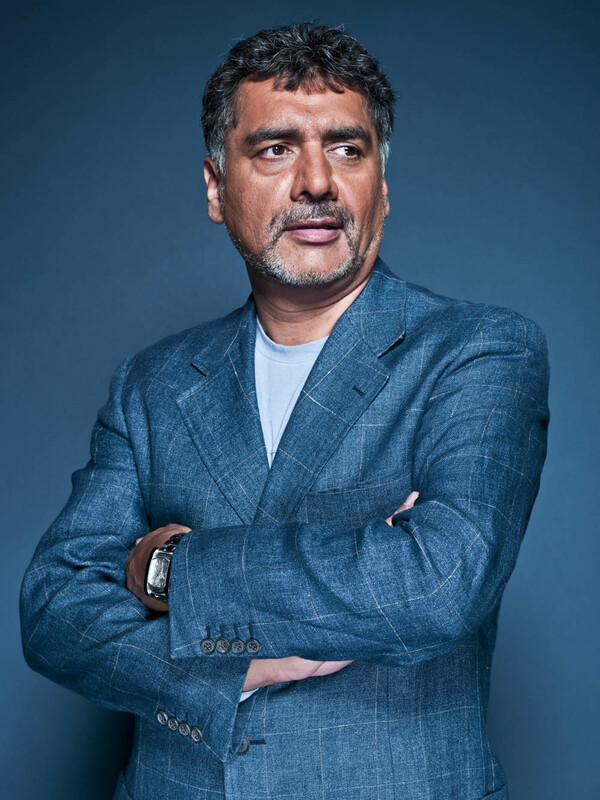 Let’s look towards the future: what is next for James Caan in terms of investment opportunities? We know that sectors like fintech are booming, but is there any other area where you see big potential? I am currently looking at investment in the technology space and have just invested in a business called Debut, an app for graduates looking for employment. Technology is a high risk area for investment but has a high rate of return if you get it right, so watch this space! Ending on a bit of a cliché, what do you think is the single most important piece of advice every entrepreneur should keep in mind? Observe the masses and do the opposite: it is much easier to be part of the crowd than not, but an entrepreneur may need to swim against the tide! We sincerely hope that all our readers will be inspired and motivated by James’ example! The Business Funding Show takes pride in being the only funding exhibition in the UK & EU. Our goal is to educate SMEs about the available funding options and ease the process of obtaining capital, while showcasing the best opportunities for both founders and investors. On Feb, 21st we'll be hosting our fourth annual flagship Business Funding Show '19 at East Wintergarden, Canary Wharf. The Show will comprise of an exhibition, 1-to-1 investment clinics with leading investors, as well as talks from notable speakers. A few industry leaders that joined us in our panel talks last year were Jenny Tooth of UKBAA, Keith Morgan of British Business Bank, Tim Hames of BVCA, Tim Sawyer of Innovate UK, Goncalo de Vasconcelos of SyndicateRoom and Timothy Poole of the Department of International Trade. Want to get a feel of what BFS events are like or can't afford to wait for a few months to meet funders? Join us at our next event Summer Networking with Funders on Aug, 21st.